Delete Youtube Video 2019: YouTube is the most popular online video portal on the Internet, but despite the fact that millions of users every day upload their videos. There are also those who want to delete a YouTube video. If you are one of those who has already uploaded a few videos to YouTube, you probably regret one of these and therefore now you want to know how to remove it from your channel from your mobile or other devices. Do not worry, since it is normal and it is never too late to regret a video where you have done something ridiculous that has generated criticism or that over time you have stopped liking. It’s time to act and think “how do I eliminate it?”, “How do I erase it?”. 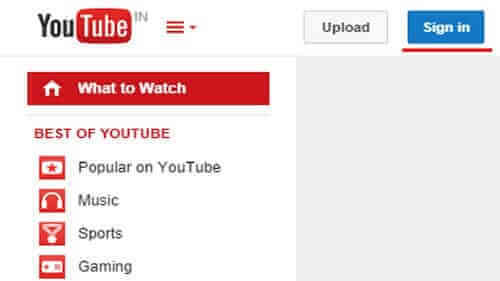 So in this article, we tell you how to remove a YouTube video easily. It should be noted that the process is almost the same in the cell phone with applications for Android or iOS (iPhone, iPad or iPod Touch) as well as computers. Continue till the ended to know the process to delete in all devices. Keep in mind that deleting a video on YouTube is permanent. After deleting the video you will not be able to access it again. That is why we recommend that you first make a backup copy of it before proceeding with the deletion. So now let’s proceed with the steps to erase youtube video. The first step to proceed with the elimination of the videos is to be login or with the session initiated within your YouTube channel. Remember that your account is associated with your Gmail email. That is if you have previously logged in to your email with access to the YouTube page and you will be inside your account. The account you enter must be the channel in which the video you want to remove from youtube. 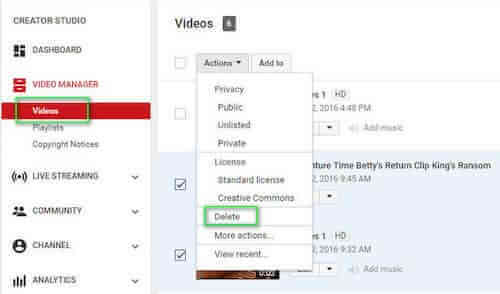 To delete a YouTube video you must first access YouTube Studio, a section that allows you to manage your uploaded videos. To do this, you can follow the following link: http://studio.youtube.com/. 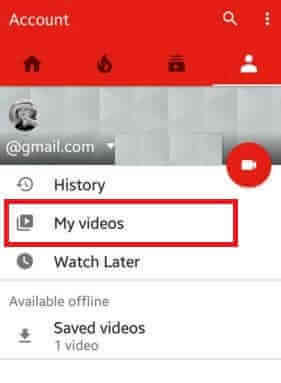 Through this section, you can easily manage everything that has to do with your account and with the uploaded videos. You will see the button to access this section when you click on your user icon just in the upper right part of your screen. From there you must click on “Beta Version of YouTube Studio” located in the sector in the upper right corner. With this, you will enter the new YouTube video manager. 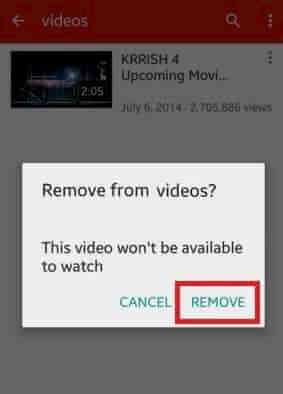 Place the cursor over the video you want to delete. Through this section, it is also possible to define the privacy of your videos, manage playlists or edit videos, among other things. 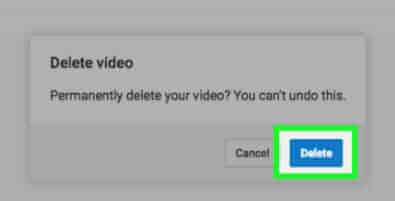 In this step, Google will ask you to confirm if you are sure to delete the video uploaded to YouTube. Confirm this last step and your videos will be permanently deleted from the portal and without the possibility of undoing the portal changes (be careful, you can only delete videos that you have uploaded). Before carrying out this last step it is very important to think about it. Since once they are eliminated you will not be able to recover them again. Access the application and then enter your YouTube account if you have not yet logged in. Click on the Library icon and then go to the My Videos section. Access the video you want to delete. Press the button of the three vertical points that are near the video. That’s it!! You have successfully deleted your YouTube video on Android and iOS Easily. As you can see, removing a video uploaded to Youtube is very simple. Remember that instead of deleting them, you can also assign the privacy in “Only me”. So that nobody can see the video in question more than yourself. Deleting videos from the mobile web page is not possible at the moment. Once a video has been deleted within YouTube, all individual reports of that video will be deleted in YouTube Analytics. However, the statistics will remain in the global data of the account. Something common in this portal of videos owned by Google is the simplicity in all types of actions, both to delete old or recent videos and to open or close an account. Something very applauded by users and that is getting more Internet users every day uploading their works, trailers, and recordings and creating channels of various topics. Hence, we have shown you the process of deleting youtube video step by step easily. We have explained how to delete the videos in all operating system like Android, iOS, and PC. We hope you like this article and willing to share the article with friends and families in social media networks. Feel free to ask your questions in the comment section below. Stay tuned to Cracko for more awesome articles.